I usually manage to get something together for NaGaDeMon, whether I do anything with it after the month is up... well that's a different issue entirely. This year my aim is to pull together all of my notes for the revised FUBAR and put them together, finally putting out the definitive edition that's been played at conventions for the last couple of years. I'm also planning on getting the illustrations right for Bug Hunt, possibly going for something very pretty and art nouveau inspired. 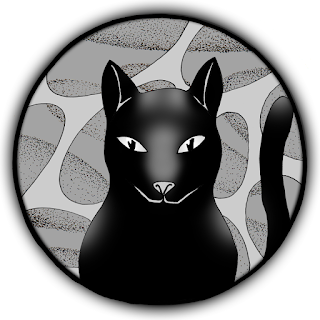 That way I'll have a pair of games ready for crowdfunding early in the new year. We'll see how the plans pan out. There weren't always cats in the Darkhive, but in the past two centuries of their recorded existence they seem to have become a natural fit to the realm. If the term "witch" is defined in the faerie tale sense as a woman with supernatural powers, then pretty much every woman in the Darkhive fits this description... they are all capable of healing woulds at an exponentially greater rate than people elsewhere, they all have to potential to tap into deeper powers if they choose to open themselves to the unknown. If the term "witch" is more narrowly defined as a person who deliberately studies the loopholes in reality to invoke effects that would not normally be under the control of mere mortals, then there would be far less individuals fitting that description, but still a sizable percentage (maybe 30% of the population, male and female, actively study ways to gain the power necessary to survive and possibly gain an edge over the people around them). 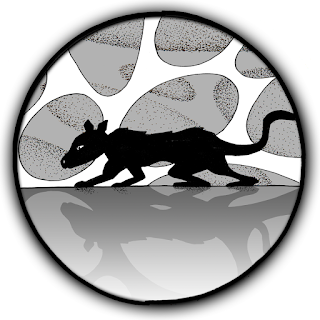 Rats, rodents and other small scavengers from a dozen different worlds are common throughout the Darkhive. Such creatures were recorded aboard the first Riven and Khar-Tui ships to collide with the huge structure, and similar creatures found they way onto the hive through the dimensional portals that sporadically open to the hidden parts of lost planetary empires, and via numerous crashed ships that lie in waste across the hive's outer surface. 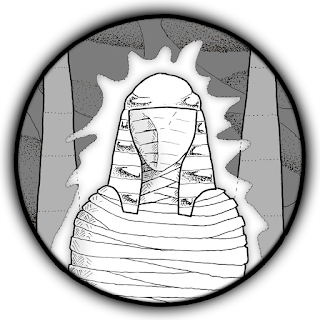 Mummies exist in the Darkhive as a peculiar side effect of certain regal Panaho funeral rites. 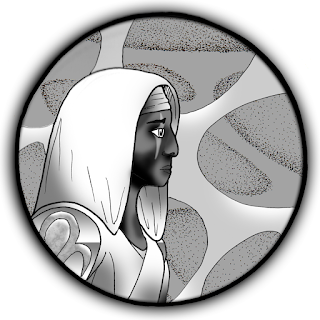 Occasionally when one of the leaders of the Panaho becomes too intrinsically connected to the fungal symbioties in their systems, their whole body starts to slow down. They become one with the fungus and literally seize up as the fungal life threads its way through their veins and muscle tissue. So, having looked at a lot of bits, I think I have the shape of the magic I want, now. it goes like this. 1. You decide on what you want to do! You'll describe it, and get a combination of a verb, a noun, and a form. You'll have a rating from 1-4 in each (dots, probably). The Verbs Are: Banishing, Conjuring, Divining, Dominating, Invoking, Warding. The Nouns Are: Beast, Blood, Dream, Earth, Fire, Hex, Name, Plant, Shade, Water, Wind. The Forms Are: Poppet, Brew, Rite, Taglock, Circle, Tool. 2. The Guide tells you about materials: Poppets need to be sewn or sculpted, Brews need to be brewed, Rites need participants and a formula, Taglocks need a sample of the noun or target, Circles need a circle of a material that suits, Tools need a tool custom-made for the job. You put that stuff together.